THE return of the nationalists to the hustings may have given greater legitimacy to the electoral process in Balochistan, but it will not be easy to bring the province’s alienated population back into the mainstream. The province stands dangerously polarised — and the electoral process is under threat by insurgent groups and by separatists, such as the Baloch National Front that has called for a shutter-down strike from May 5 to election day on May 11. It is now a battle between the moderates who have chosen to return to the democratic path and the hardliners who believe the elections would harm their cause for independence. Tensions are running high. Even members of the influential Baloch tribal elite are divided. The recent attacks on candidates of nationalist parties allegedly by armed insurgent groups reflect the explosive situation in the run-up to the elections. 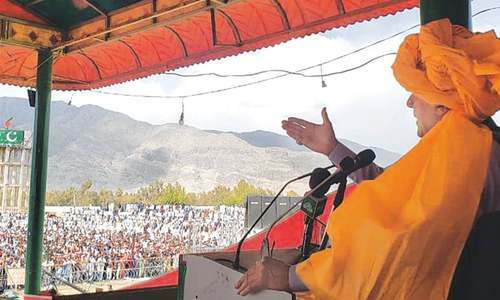 There has been a dramatic turnaround in Baloch politics after Akhtar Mengal returned home last month to lead his faction of the Balochistan National Party (BNP-M) in the coming elections. Just a few years ago, the former chief minister stood trial for sedition. He languished in jail for almost two years before being released in 2008. Losing hope in the political struggle for the rights of his province, Mr Mengal, like many of his compatriots, left the country in self-exile. His return to mainstream politics has certainly raised hopes about a possible political solution to the long-festering Balochistan crisis. But it may not be so easy for the Baloch chieftain to win back the confidence of his people after his long absence from the province. The BNP-M boycotted the 2008 elections in protest against the military operation, extra-judicial killings and the illegal detention of political activists by the intelligence agencies in Balochistan. The party took part in the 2002 elections, but resigned from parliament and the Balochistan Assembly in 2005 after the assassination of Akbar Bugti in an army operation. The death of one of the most powerful tribal chiefs and political figures turned the long-simmering unrest in the province into an uprising. Balochistan had remained relatively quiet for almost two decades, after the end of the insurgency in 1980 until the return to civilian rule in 1988, which brought the Baloch nationalists into the political mainstream. Although their major demands relating to gas royalties and the allocation of federal resources remained unfulfilled, democracy provided the Baloch population with at least a sense of political participation. But the return of military rule in 1999 ended that relative calm. Tension mounted when the military started building new cantonments in 2004. The move was seen as a means to further tighten federal control over the province and the apprehension was not without basis. Instead of addressing the genuine grievances of the Baloch people, the military mounted a ruthless operation. The air force was used against the civilian population forcing thousands of tribesmen to flee their homes. Since Balochistan became part of Pakistan some 65 years ago, Baloch nationalists have led four insurgencies — in 1948, 1958-59, 1962-63 and 1973-77 — which were brutally suppressed by the state. Now a fifth is under way and this time the insurgents are much stronger. Unlike the past, the educated middle-class youth, rather than tribal leaders, are leading the separatist movement. An overwhelming majority of Baloch nationalists had rejected secession and struggled for autonomy within the framework of the Pakistani federation. But state repression blurred the division, pushing many moderates to ally themselves with the radicals. A large number of nationalist parties’ cadres joined the armed struggle. As Balochistan has descended into anarchy, the state’s authority has eroded. The military seems to have contained the insurgency, but has failed to win the trust of the alienated population or to effectively establish the writ of the state in a large part of the province. The policy of killing and dumping the bodies of political activists has pushed increasing numbers of people, particularly among the young generation, into the fold of separatist groups. Although the military operation has been halted over the past few years, tribal ‘death squads’ allegedly propped up by intelligence agencies are still active. 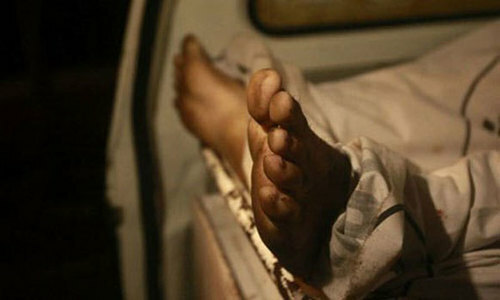 According to the Human Rights Watch, around 300 corpses of disappeared persons were discovered in 2011. This situation inspires little confidence in the fact that moderates are returning to democratic politics. Besides the BNP-M, the National Party led by Dr Malik Baloch and the Balochistan National Party-Awami led by Israrullah Zehri are also participating in the elections. Mainstream political parties such as the PML-N and PPP are in the race as well. It is certainly not going to be easy for the nationalist parties to regain their support base after being absent from their areas for so long. Then there is a strong perception that Akhtar Mengal has returned to the country after a deal with the security establishment. The candidates cannot even campaign in their constituencies where the armed groups hold sway. There are three major insurgent groups operating in the province. The strongest among them is believed to be the Balochistan Liberation Army, led by Hyarbyar Marri who took over the command of the outfit after the assassination of his brother Balach Marri by the Pakistani military intelligence in 2007. The two other groups are the Baloch Republican Party, led by Brahmdagh Bugti, the grandson of Akbar Bugti, and the Baloch Liberation Front (BLF) led by Dr Allah Nazar. The divisions largely reflect tribal differences, but the groups share the common agenda of independence. While the influence of the insurgent groups is the strongest in the Turbat, Panjgur and Awaran areas, they also have a significant presence in the Gwadar, Khuzdar, Mastung, Kharan and Kalat areas. State control in the Dera Bugti, Barkhan and Bolan areas is tentative despite the huge presence of security forces. A strike called by a separatist group against the elections recently brought parts of Makran to a complete halt for several days. Even banks and government offices remained shut. The Pakistani national anthem is not sung in many schools and buses play pro-independence songs. The conflict has even divided political families. While Akhtar Mengal is leading his party into the elections, his younger brother Javed Mengal has his loyalties with the insurgents. Similarly, one of the brothers of Hyarbyar Marri, the leader of the BLF, is a candidate for the National Assembly from the Kohlu-Barkhan area. Changez Marri is contesting on a PML-N ticket. Certainly this presents a very dire political scenario, but an uninterrupted democratic process is the only way to restore the confidence of the people of Balochistan in the federation. The decision by the nationalist parties to return to electoral politics despite the threat of violence is indeed a step forward in Balochistan’s struggle for democratic rights. Why are Baloch's not allowed the rights of self-determination when Pakistan screams at the top of it's lungs about it for the Kasmiris? AZADI from tribal leaders . I am a Baluch and i want freedom from tyranny due to tribal system in Balauchistan. I love and respect Pak Army . Pakistani establishment must need to think how to tackle the issue of balochistan, extreme force is not the solution of problems, in past unfortunately governments used extreme force and is responsible to radicalize the people, They have right of their own natural resources but unfortunately they are not getting it equally. The second Baloch people must need to struggle in field of education, pick the pen not the guns. We want to see them in every field of life. Unfortunately small provinces not getting equal rights like the large province, there is no equal education, health, even justice system. Establishment must need to work in these fields neither to use force because they wants there rights. Pakistan is currently facing lots of problems; it is very important to make more provinces to tackle and solve the basic needs of common people and reduce the nationalist agendas.